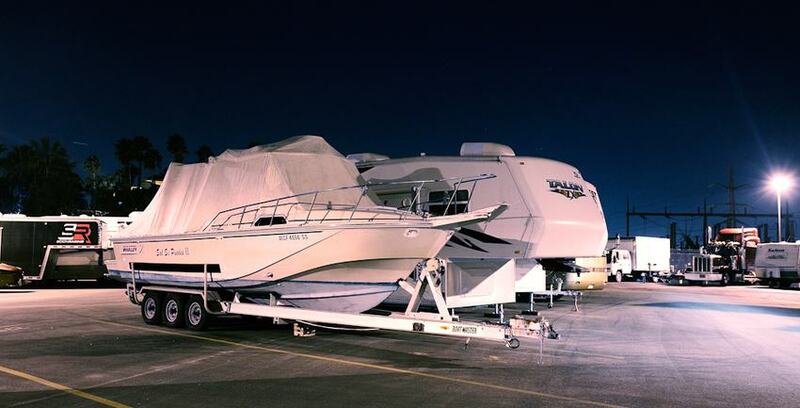 RV Storage Depot is committed to providing our customers with the best vehicle storage. We offer paved, clean and well lit facilities that best match all customers needs. We have wide turning aisles as well as pull through spaces that make storing hassle free for towables and large RV's. We also offer wash racks, dump stations and secure and controlled access to the facility. RV Storage Depot offers the largest INDOOR vehicle storage facilities in California. Indoor storage protects your Motorhomes, Boats, Fifth Wheels, Trailers, Classic Cars and Commercial Vehicles from the elements and in prime condition year round. Our Indoor facilities offer valet services. Store your recreational vehicles indoor and trust that your investment is in a clean, dry and secure space so it is always ready for your next vacation. Our indoor valet services take it a step further maintaining vehicles tire pressure, electricity and offer convenient pick up and drop off 7 days a week. All vehicle storage comes with these great amenities! RV Storage Depot offers more than just RV & Boat Storage, see what our other locations have to offer.